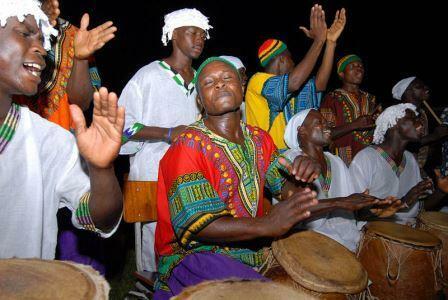 Most crops grown for their fruits, nuts, seeds and fiber require pollination by insects, such as bees and butterflies. These pollinators are responsible for much of the food we eat and play a critical role in ensuring the production of seeds in most flowering plants. Thane Maynard And Dr. John Kricher, Author Of "A Neotropical Companion"
Dr. John Kricher is longtime professor of biology at Wheaton College who teaches courses in ecology, ornithology, and vertebrate evolution. Update 3/22/2016: The Cincinnati Zoo reports the mother of the five cubs, "Willow," has died. "Cheetahs are a fragile species and this difficult birth proved to be too much for her to pull through" said Thane Maynard, Director of the Cincinnati Zoo & Botanical Garden, in a statement. 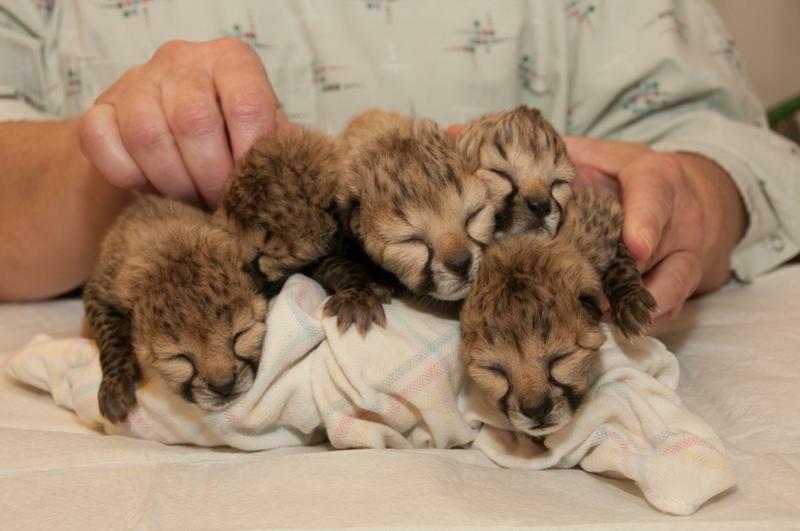 "Willow was able to contribute to the survival of her species by producing five cheetah cubs. Without the C-section, we likely would have lost both the mom and the cubs." 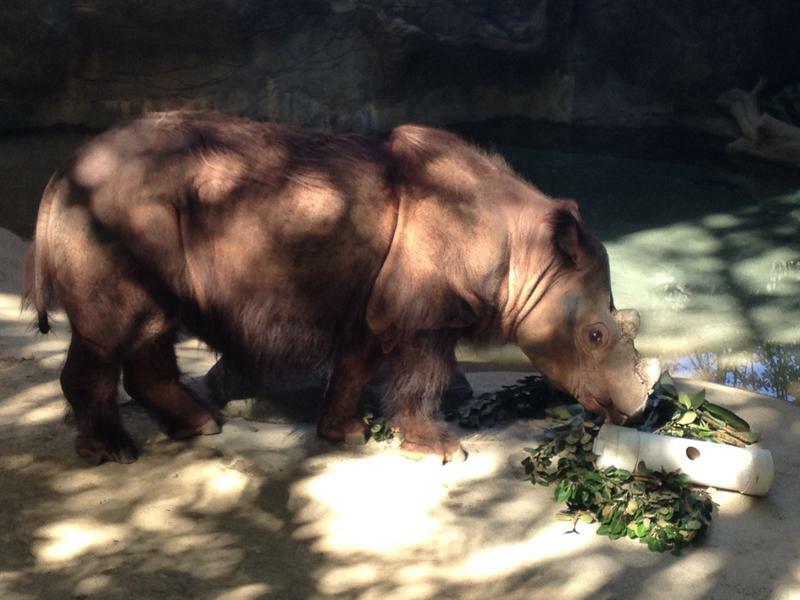 Update 5:45 p.m.: A news release from the Cincinnati Zoo now says two bears, Berit and 26-year-old Little One "took advantage of an open den door" and got into a service hallway. The two are "resting in their den" and could be back for viewing as early as Friday. 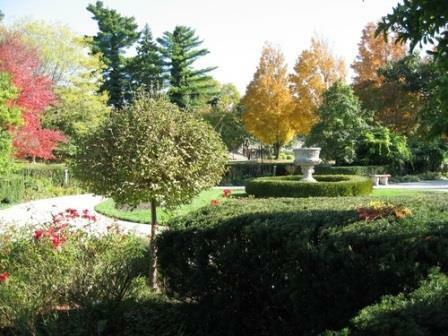 The Cincinnati Zoo and Botanical Garden kicks-off its annual Barrows Conservation Lecture Series this month. 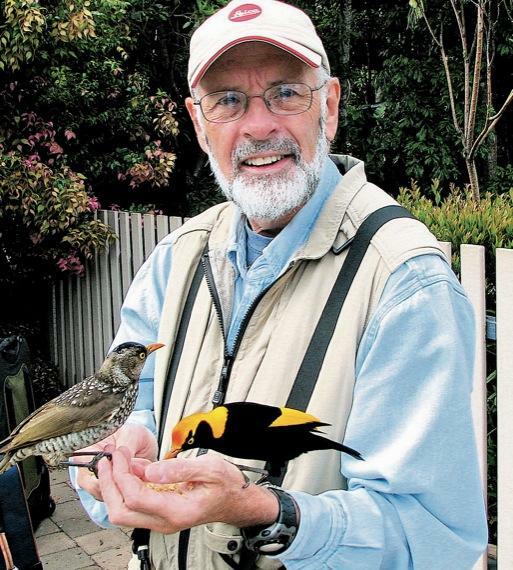 Over the years, the series has brought dozens of internationally acclaimed scientists, explorers and naturalists into town to address wildlife issues and global conservation efforts. The third annual Great Tree Summit will take place Saturday, February 13, at the Cincinnati Zoo. The summit is presented by Taking Root, the campaign to restore our region’s tree canopy with a goal of planting two million trees by 2020. The fastest animal at the Cincinnati Zoo has died. Sahara, also known as Sarah, who held a world record for speed, was euthanized Thursday because of “diminishing quality of life,” according to the Zoo’s blog. 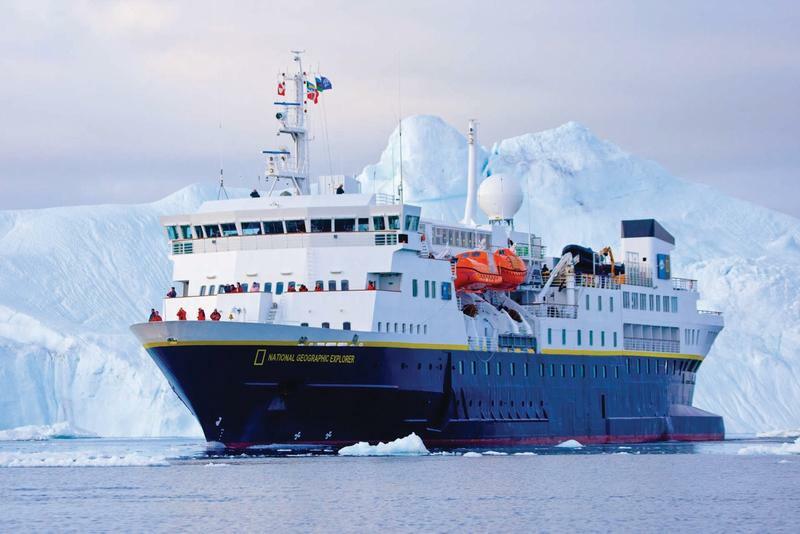 Two local educators went on adventures of a lifetime last year when they were picked to be Lindblad Expeditions and National Geographic Education Grosvenor Teacher Fellows. They and 33 other Fellows journeyed to places all over the world for hands-on experience and professional development. After much anticipation and speculation about which would come first, the egg or the aardvark, the Cincinnati Zoo says the first baby of 2016 is a penguin. 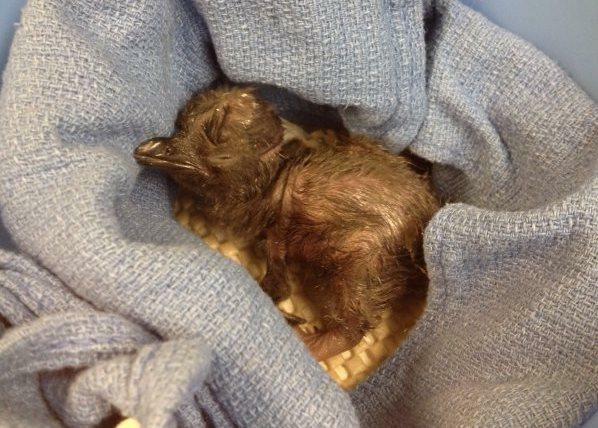 The little penguin, also known as a fairy or blue penguin, was born Friday at 6 a.m. The chick won't join the rest of the Zoo's penguin colony until the spring. Little penguins prefer milder temperatures. This interview originally aired April 16, 2015. Jon Cohen is a correspondent with Science magazine and author of several books, including Almost Chimpanzee: Searching for What Makes Us Human, In Rainforests, Labs, Sanctuaries, and Zoos. He spoke recently with Thane Maynard from the Cincinnati Zoo about his interest in wildlife and his recent article called Zoo Futures. Noel Rowe grew up in Cincinnati, worked at the Cincinnati Zoo as a young man, and his family has a long history of supporting the local environment – in fact, Rowe Woods at the Cincinnati Nature Center is named after his grandfather. The film Trees in Trouble tells the story of America's urban and community forests,their history, their growing importance to our health, economy and environment - and the serious threats they now face. 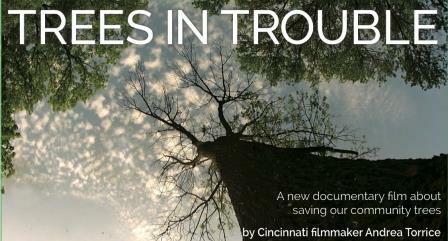 The film shows how community-wide efforts can save and protect our urban forests for future generations. Kharkiv, Ukraine, one of Cincinnati's sister cities, and a city known for the manufacturing of machinery and electronics, is trying to become more energy efficient. A delegation of government workers traveled to the U.S. to learn how Greater Cincinnati recycles, uses solar energy, filters water, and generates heat and electricity. We are accustomed to odd weather in the Tri-state, but this summer has been particularly unusual: heavy rains and unseasonably low temperatures followed by days of intense, dry heat, followed by more rain and cooler days. 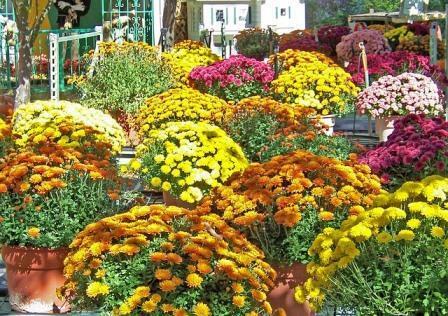 One morning it's August, the next October, then we're back to August again. It's posed a real challenge to farmers and anyone trying to keep their lawns and gardens healthy. 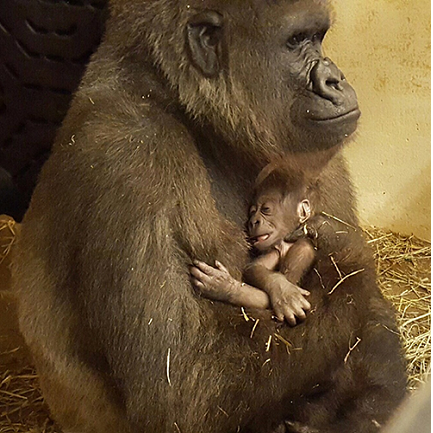 She's a little late to take part in Zoo Babies; the Zoo's newest arrival is a western lowland gorilla. 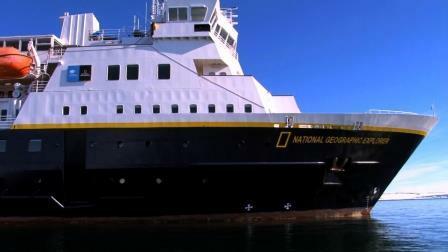 Officials say Anju gave birth to a girl Tuesday at 7:10 a.m. The lions, tigers and bears are all half-price this weekend. The Cincinnati Zoo is offering half-price admission to Hamilton County residents Friday, Saturday and Sunday (Aug 21-23). 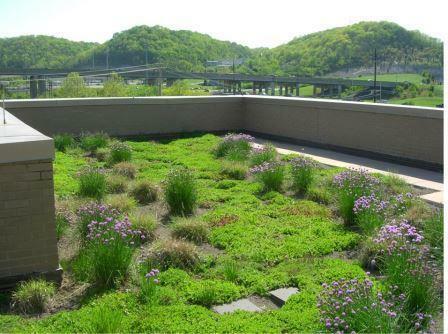 Green roofs, also known as eco-roofs or nature roofs, have become increasingly more popular as people and organizations realize their benefits, from better storm-water management and reduced CO2 impact to cutting down summer air conditioning costs. You may not realize it, but Washington Park is a green roof. And a 2,400 square foot green roof grows on top of Giraffe Ridge Barn at the Cincinnati Zoo. If you don’t have tickets to see “Lumenocity” in person, here’s how you can watch or hear the Washington Park concert. And you definitely should watch. 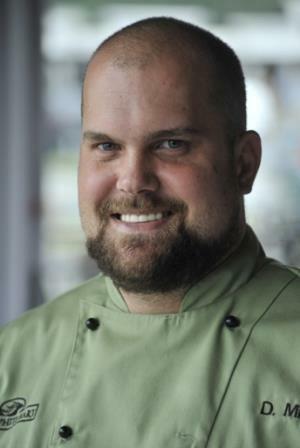 The chef at the Cincinnati Zoo and Botanical Garden, David Miller, is committed to bringing healthier options to the variety of food operations at the zoo, including the concession stands and catering. 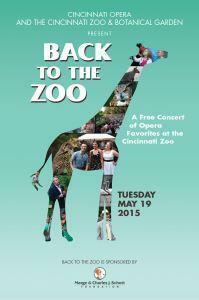 Tuesday, May 19, the Cincinnati Opera returns to its first home, the Cincinnati Zoo & Botanical Garden, where performances were held from 1920 through 1971. 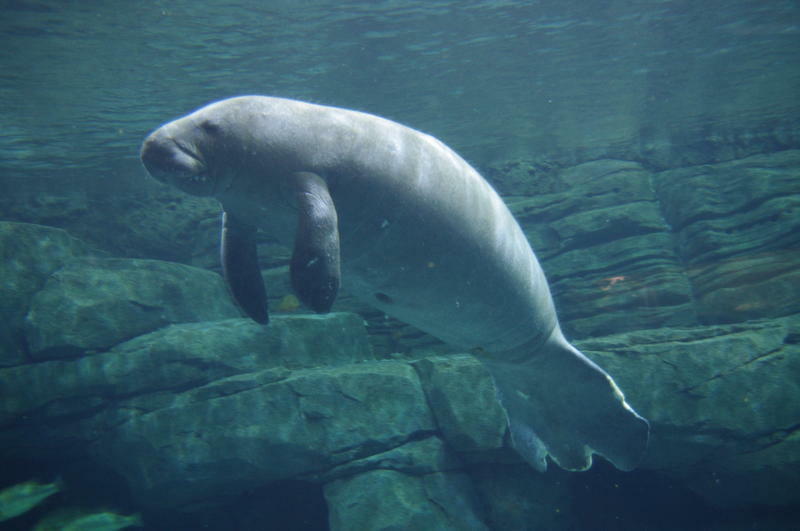 The Cincinnati Zoo has produced what's believed to be the first non-human offspring using "glass" sperm. 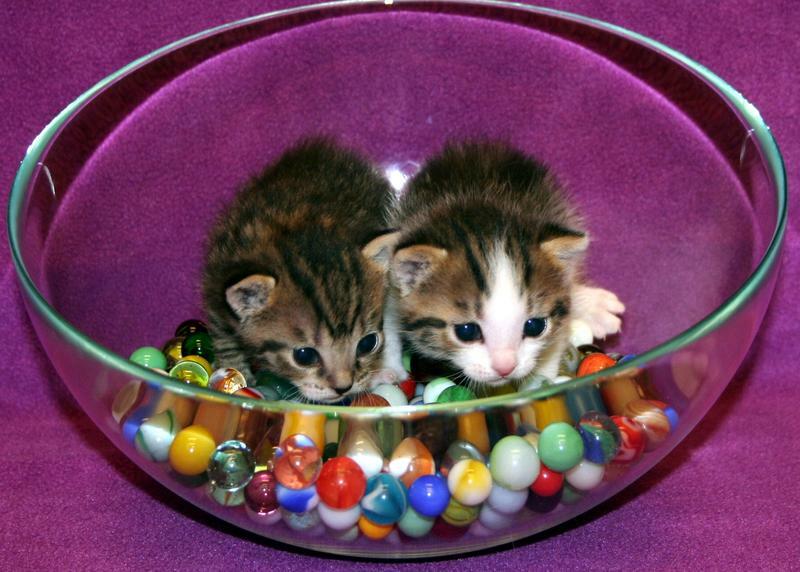 They are kittens named Elsa and Vito. The Center for Conservation & Research of Endangered Wildlife (CREW) harvested domestic cat sperm and preserved it in ultra-rapid freezing liquid nitrogen to form "glass" rather than ice crystals. This process is called vitrification. 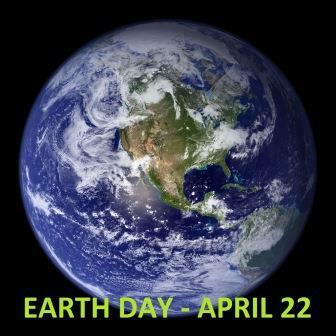 The first Earth Day was 45 years ago. And on April 22 every year since then, people around the world celebrate the day by taking some action to improve the environment. Joining us to talk about the progress we've made to create a greener, cleaner, more sustainable environment, worldwide and here in our region, are Cincinnati Nature Center Chief Naturalist and Adult Program Manager Bill Creasey; Brewster Rhoads, executive director of Green Umbrella Regional Sustainability Alliance; and, Scott Beuerlein, Cincinnati Zoo & Botanical Garden horticulturist and chairman of the Taking Root campaign. The Zoo's Earth Day celebration, Party for the Planet, takes place April 23; the 2015 Midwest Regional Sustainability Summit will by held May 1 at the Xavier University Cintas Center, registration is open until April 29. And for recycling anything in Hamilton County, check out the Hamilton County Recycling and Solid Waste District website. Some of us take vacations to the same place each year, comfortable in knowing what to expect, the beach or Disney World, maybe. But many people use their vacations to travel outside their comfort zones, and open themselves up to new cultures, people, places and experiences. The Cincinnati Zoo has a new gorilla. The sixteen-year-old Western lowland silverback comes from the Gladys Porter Zoo in Brownsville, Texas. Harambe brings the total number of gorillas at the zoo to ten. Harambe weighs in at 419 pounds and is being placed in a social group with two 19-year-old females. They will not be bred together. 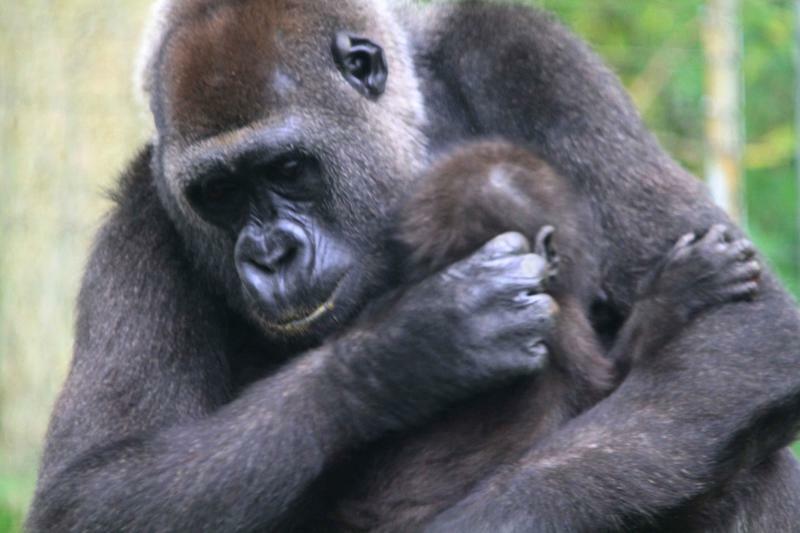 The Zoo says Western lowland gorillas are critically endangered in the wild, with less than 175-thousand individuals. 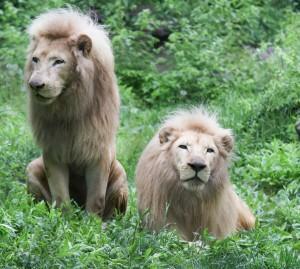 Sunshine, a white African lion at the Cincinnati Zoo, died following surgery. He was 17 -years- old. The average age of white lions living in North American zoos is 16.8 years. 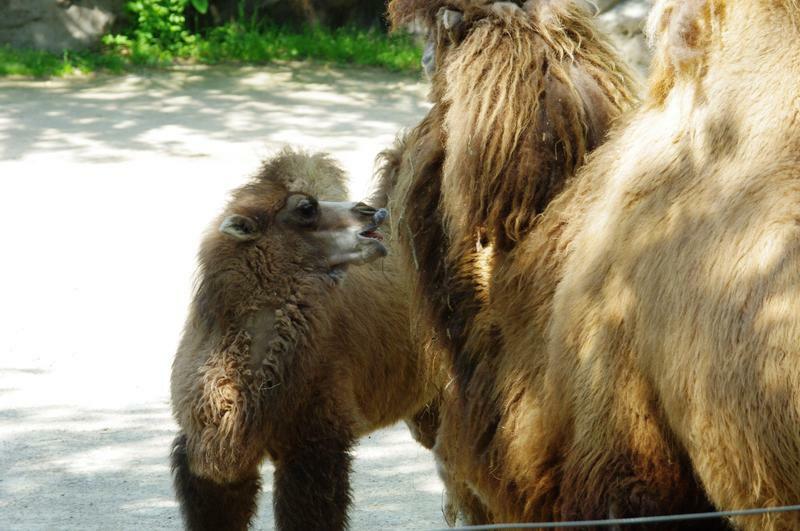 The zoo says he and his brother Future were loaned permanently by Sigfried and Roy in 1998. Future was euthanized in December, 2014. Dr. Linda Bender is a veterinarian, but much more than that. 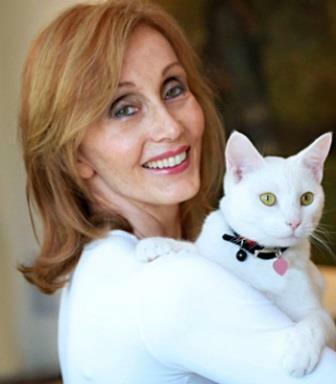 She is a passionate advocate for animals and author of Animal Wisdom: Learning from the Spiritual Lives of Animals, which illuminates the undeniable ability for animals to restore our ecological, emotional and spiritual balance. 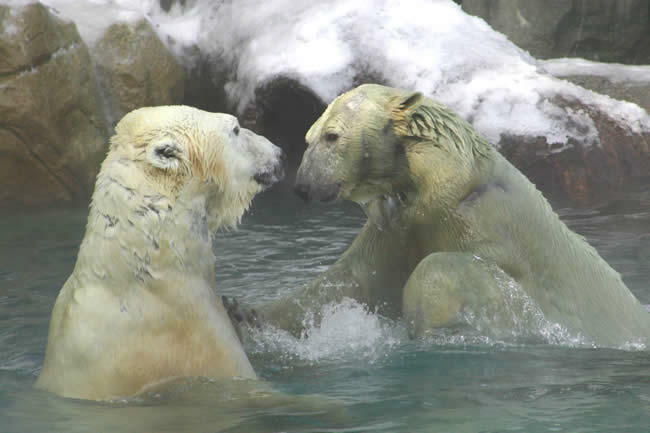 Dr. Bender recently spoke with Thane Maynard from the Cincinnati Zoo.